The more efficient a vehicle becomes, the less waste heat there is with which one can simply, heat the interior for example. The better my battery cooling is, the longer it will last. The more I understand thermal management, the more “features” I can install without additional costs. The more skillfully I connect the cooling circuits, the lower the pressure loss – thereby reducing the required pump power. Like all OEMs, our client is constantly launching new model variants on the market. Every vehicle and variant has its own characteristics somewhere in the cooling circuit or the hybridization. Each of these have unique thermal management considerations. That’s why the client wanted us to provide him with a flexible yet precise model to make forecasts. These predictions would enable him to save on prototypes. 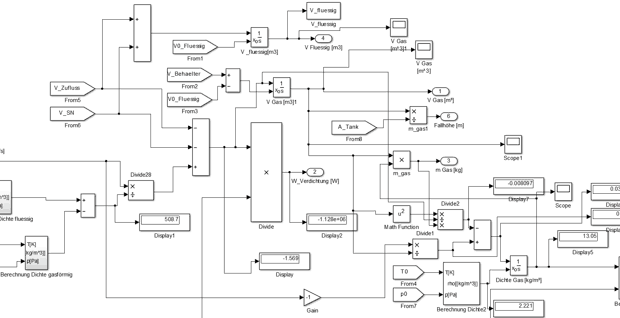 Together with the customer we decided to use Simulink and Simscape as tools. These allow us and the client to calculate both the hydraulics and the temperature at various locations. 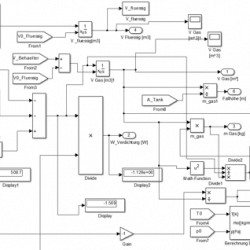 The beauty of Simulink software is that we can work with extremely simple component models as well as with very detailed ones. Therefore, we can always make “quick” calculations – but also to three decimal places, if desired. The optimal solution usually lies somewhere in between. Over the years, the customer built up such a useful thermal management model library that they are now able to easily make quick decisions even when working under intense project pressure.